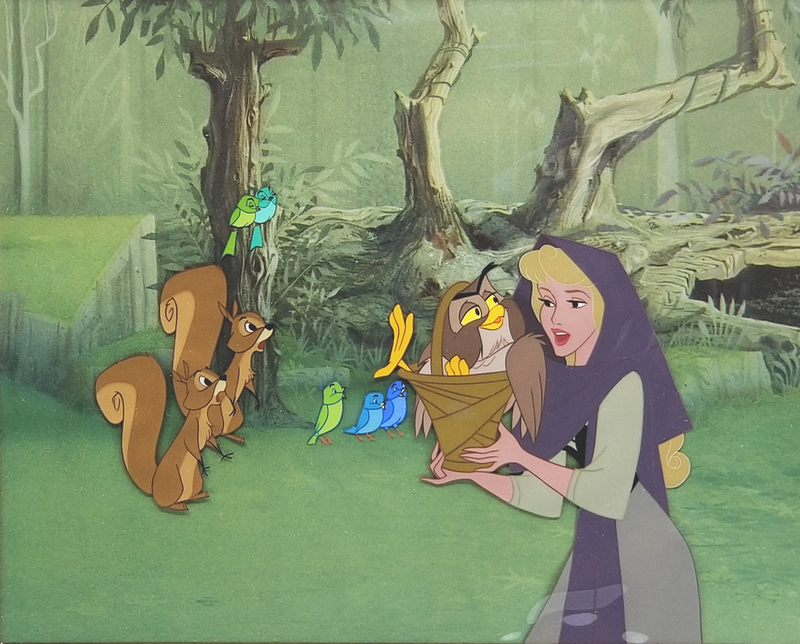 This is an original production cel from the Walt Disney Studios production of Sleeping Beauty (1959). 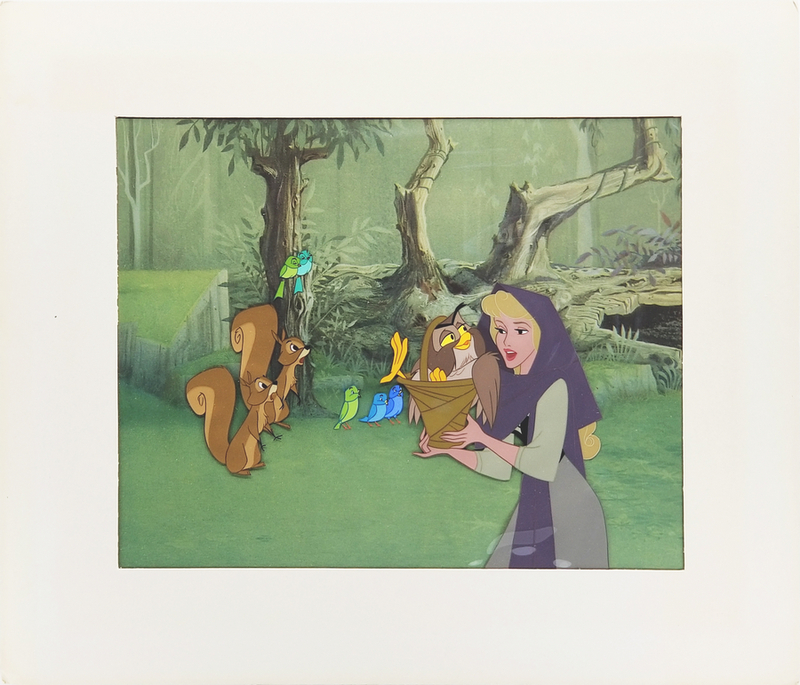 This cel features Briar Rose and was created at the studio and used during the production of the film. 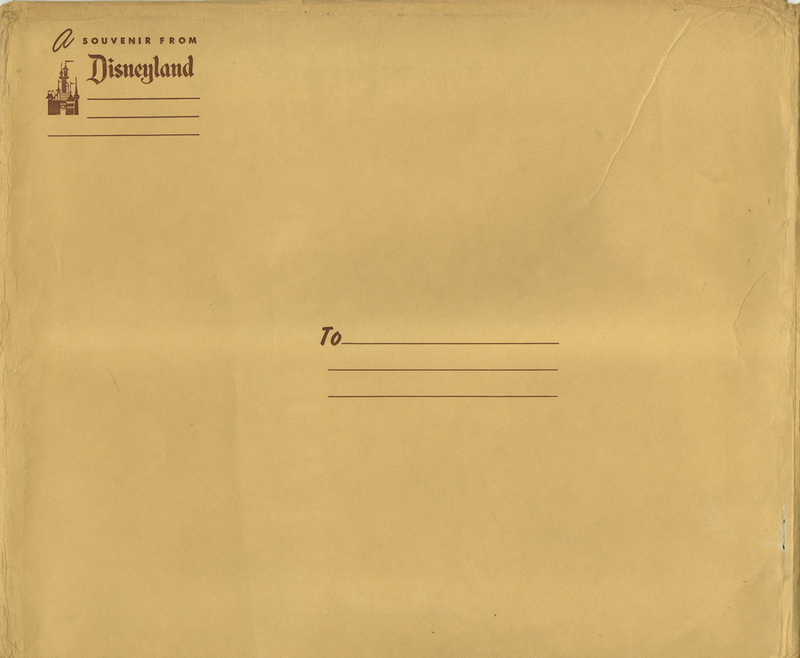 The cel is paired with a color copy reproduction background as it was originally prepared for sale in the Disneyland Art Corner. 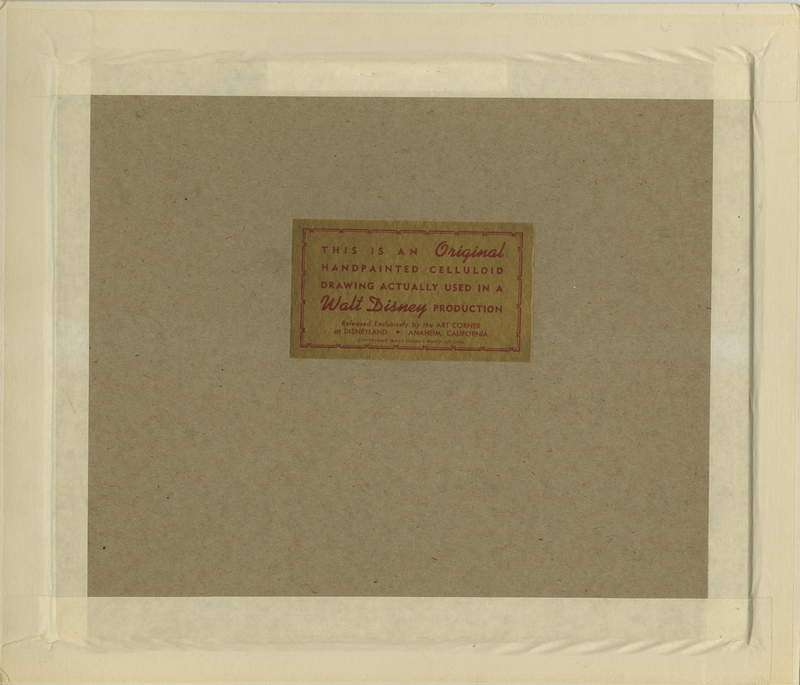 This cel still features its original art corner mat, gold sticker on the reverse, and even the original Art Corner envelope! The overall measurements of the piece are 12" x 14" matted with the mat opening measuring 8" x 10" and the image itself measures 5.5" x 7.5" and is in excellent condition.